A/C Living Area: 1,830 sq. ft. 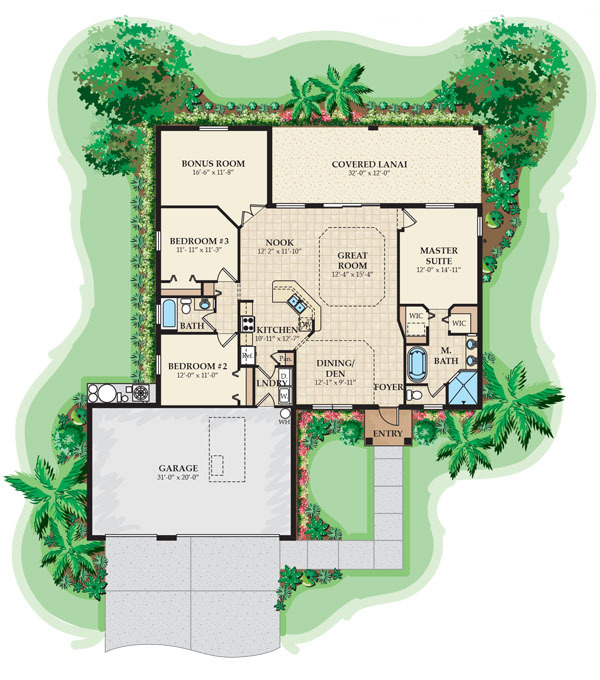 Covered Lanai: 392 sq. ft.
Total Area: 2,939 sq. ft. 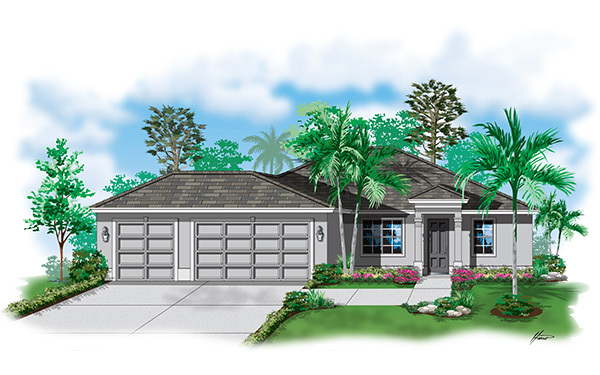 The 3 bedroom + Den/Bonus Room, 2 bathroom, 3 car garage Coronado model features a split bedroom floor-plan with over 1800 square feet under air. This spacious home features a very open floor-plan with a separate living and dining area as well as an Island style kitchen and breakfast area. The master suite features his and hers walk-in closets and a very roomy master bathroom with a luxurious roman tub, separate tiled shower and dual vanity sinks. The fourth bedroom can easily be converted into a den or a bonus room for the kids to play. 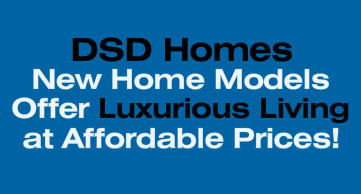 Arched doorways, vaulted ceilings, walk-in closets, plant shelving and raised panel cabinetry are only some of the accompaniments that come standard with this DSD Home.